This is the 30th issue of our local community magazine. You just cant believe that it was October 2000 when the first such magazine dropped through peoples letter boxes and it has happened four times a year ever since. Today the magazine is averaging between 10 and 12,000 words so one can only hope there is something interesting in its production considering the time and effort put in to produce it. We also provide advertising space for 86 advertisers which is a far cry from the first edition which had eleven adverts. Of that eleven just three have been in from day one and they are Great Barrier Reef (Fish and Chips), Costcutters and Metheringham Hair Studio on Caroline Road. To them we send out a big thank you for your continued support. The magazine has grown tremendously since 2000 when it was then just10 pages. Now, this issue is 56 pages (A4) and as you must imagine the printing costs to provide around 2,500 copies for all the villages in our community is approaching £1,000 per issue. With this in mind you can then appreciate why we have to include so many adverts as it is they who provide the capital to pay for the printing. I would also thank all the people and organisations who have provided articles this time, I think you will find them varied and interesting. Annual Village Meeting 2008 - The 2008 Annual Village meeting will take place on Tuesday 29 April starting at 7.00pm in the Village Hall. This is not a formal Parish Council meeting, it is a meeting for the people of Metheringham to present to each other details of their organizations and how things have progressed during the year. This year's topic is "GOING GREEN", and the programme will include subjects on RECYCLING, how to SAVE ENERGY and MONEY in your home. With ever increasing utility bills, why not come along to find out how you can save money. If you have any suggestions or comments regarding the Annual Village Meeting please contact me. Continue reading Metheringham Parish Council News - Spring 08. Local land owner Mr Richard Parker, from Metheringham Manor, will be the President for the 124th Lincolnshire Show in June this year. Mr Parker who is well known in local farming circles and is President of Blankney Cricket Club has a long standing association with the Lincolnshire Agricultural Society and has served as a chief steward in the past as well as being the honorary director and the Society's Chairman. Gardeners should be warned against cutting back their hedges and climbing plants too early in the year. The Lincolnshire Wildlife Trust (01507 526667) has issued a warning to everyone working on their gardens to give consideration to nesting birds. During the bird-breeding season many have built their nests in garden hedges and the Trust is issuing a warning that it is a criminal offence to cut back plant life which might damage the nest or birds themselves. The Trust is suggesting that gardeners should wait until the end of the bird breeding season before they start cutting back their hedges or trees. For further information contact the Trust on 01507 526667. Should you wish to report incidents of negligence-contact Lincolnshire Police on 01522 532222 or ring 01522 558684. I quite enjoyed the book, until it started to make me feel very uncomfortable at the manipulation of an impressionable young woman into a puppet of an older woman. I really wasn't sure at the beginning of the book, just who was seducing whom, but the boy was certainly no innocent in that relationship, whereas I felt the woman was quite innocent in her relationship with the older woman. Their relationship crept up insidiously on me and I found that I didn't want to keep reading the book, but I had to as I needed to know what the ending was going to be, but it was not enjoyable and I just found it very creepy. I would score it 3/10 for enjoyment and 8/10 for the actual writing as I felt it was very cleverly built up, almost without you noticing what was actually happening. Most of our group found the ending of the story in the book to be unsatisfactory but I think that in the film they tidied up the loose ends. We gave the book average scores of 5/10 for enjoyment and 6½/10 for the quality of the writing. The Loyal Ripon Lodge was part of the Friendly Society movement which flowered and flourished after the Napoleonic wars in response to the greater understanding of social responsibility which grew with the Industrial Revolution particularly across the north of England. The Lodge was founded some time between 1833 and 1854 and was honoured with the name of the Earl of Ripon whose seat was at Nocton Hall. The Earl, as Viscount Goderich, was the Prime Minister of the United Kingdom and Ireland for less than five months in 1827 between those two great worthies George Canning and the Duke of Wellington. Continue reading The Loyal Ripon Lodge of Oddfellows, Dunston. Some people may not be aware but Metheringham FC ran a successful 6-a-side football tournament for 15 years. However in 2007, due to external factors the number of teams entering was such that it would not have been a viable financial operation to run. It was therefore decided, at very short notice, to organise a Fun Day on the Village Sports Field and this proved extremely popular with those people who attended. It has therefore been decided to carry on with this event, but this year to open it up to other village organisations to make it a truly memorable Village Fun Day, where all monies raised will remain within each village organisations. The date we are looking towards is Sunday 1st June 2008. In order to get the arrangements under way, we propose to hold a meeting in March in the Star & Garter where all interested parties can attend to put forward their views on how the day can be a success. Hoping that you will join us in making this event a successful and possibly an Annual Village event. 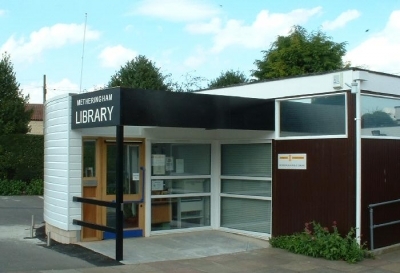 There are serious suggestions that village libraries, including Metheringham Library, are going to see drastically changes. It is a know fact that there are ongoing issues being discussed about opening hours for this service. Already there have been articles in the Sleaford Standard and in the Lincolnshire Echo on this subject and there has also been phone-in on Radio Lincoln on Tuesday 12th Feb about the fact that library opening hours are to be changed by the Lincolnshire County Council following their new financial year (1st April) should the new proposals be accepted. Most of our rural libraries (again including Metheringham) are to have their hours cut drastically, with the idea being that if your local library has its hours reduced you can always travel to another one within reasonable travelling distance. Some people have already written to the Lincolnshire County Council expressing their horror at these changes. If you don’t want to see Metheringham lose its library or see this excellent facility vanish like so many other rural facilities (including Post Offices) put pen to paper and vent your feelings. The more letters sent the stronger our fight will be respected and considered – we hope!!! 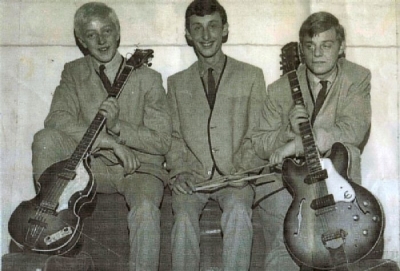 Back in the 1960's, the Fenlanders, Metheringham's very own band had a brush with fame. 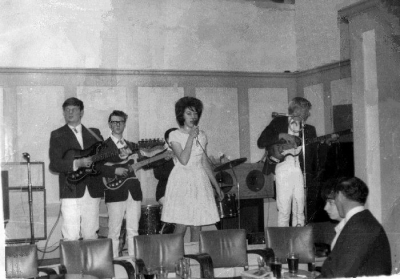 At their height, they were one of Lincolnshire's top beat groups who opened the pop concert on Lincoln South Common in May 1966. The line up included The Who, The Kinks, The Small Faces ( and possibly Status Quo). The band was formed by Kenny Spencer and myself and we were joined by George Byers and Keith Rossington our early sessions took place in the Royal Cinema. Our biggest claim to fame was an appearance on a Radio program called "Down your way", who visited our new practice site (cowshed on my fathers farm) and recorded the “Cowshed Blues” which then went out on national radio, sadly the recording contracts didn’t exactly roll in !! so more practice needed. We operated for a short while as an instrumental band only, Keith left and was replaced by John Reeves (pictured) and Susan(Vocals) and Richard Byers (organ/keyboard) joined, we also had a singer by the name of Brian Mason for a while. We were out in that format for possibly 18 months or so,George Byers left and was replaced by John Sweeny(Nth Hykeham) for a brief period until he was replaced by John Clarke (Sleaford).We played many venues in that format but not with anyone famous. We re-named to “The Brotherhood” with myself (bass)John Clarke(drums) Chris Elkington (lead guitar)and John Clare vocals with Alan Garrill as manager and roadie. We went to greater heights with this format and worked with quite a few famous bands, still rehearsing in the “cowshed”. We opened the first night at the then new village hall in Metheringham, it was absolutely packed to the roof!! We were into rock & Blues and no one had a better lead guitarist than Chris Elkington he was quite special and we had some great times together as a band. We were entered in a competition run by lincolnshire standard group to find the best Lincolnshire band (which then included South Humberside) we beat 11 other bands at The drill Hall in Lincoln and I still have the trophy. Part of the prize was to open the pop concert which was held on Lincoln City's ground and not on the common. We were in the company of some very good bands and stayed to watch a few after us, in particular Georgie Fame, we were supporting a band that night at Cleethorpes called The Pretty Things. We played with The Yard Birds, Dave Dee & Co, Unit Four Plus Two. We played many venues throughout the midlands often sleeping in the van. I left the band to join the Sleaford Band “Dawn & The Dee Jays and stayed with them for a couple of years and then stopped playing regularly. The Brotherhood carried on for a couple of years before breaking up. The Brotherhood members have played on in various bands around including Brass Roots and others and a couple of us turn out together on occasions and stand in for other bands etc. Done some stupid things in my life but none worse than selling that bass!! (The bass was the same type as Paul McCartney used, hence the reference to the decision to sell it). Thanks also to Alan Harding for use of the photos and help in triggering the memories. It is with much sadness that Metheringham Football Club report the untimely death of Dayne Grove on Wednesday 30 January. He had played for the club from Under 13's right up to senior level. Dayne was only 19 but in February 2003, when only 14, he was found to have an enlarged heart. He was rushed to Newcastle's Freeman's Hospital where he had a heart transplant. With typical fighting spirit Dayne returned to play for his team, the then U15's in October of that year. He continued through the club's U16's and U18's before making two Sunday Senior appearances in 2006 whilst still with the U18's. Sadly, in September 2007 he was diagnosed with Hodgkin's lymphoma and despite his gallant battle he passed away peaceful at home with his family on Wednesday. Our sincere condolences go out to mum Sharon Popple, step-dad Simon and siblings Aaron (21), Chelsea (16) and twins Oliver and Holly (11). Continue reading Dayne Grove 1989 - 2008. This page is a archive of recent entries in the 30. Spring 2008 category. 29. Winter 2007 is the previous category. 31. Summer 2008 is the next category.